Salutations, my fellow Wafflers! 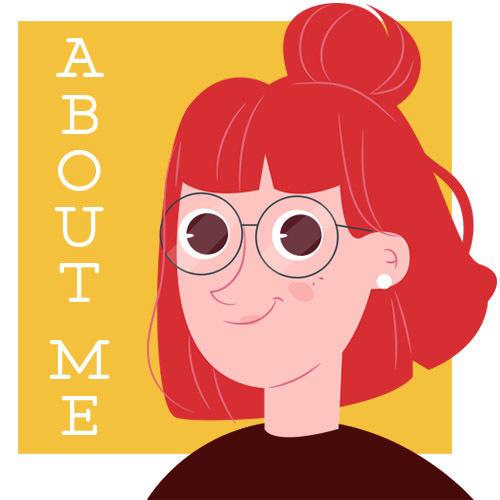 Today I have a very special treat for you…granted my whole blog is covered in waffles, which I think falls solidly under the “treat” category (but the literal kind instead of the figurative). In any case, today is going to be extra sugary, because the amazingly sweet Tiffany from Read by Tiffany is staging a takeover and sharing her most anticipated contemporary reads for 2019! *In my best announcer voice* So, without further ado, let’s give a warm welcome to tonight’s guest speaker, Tiffany! Hopefully you are a little bit more excited than Snape is in this GIF. I absolutely loved Always Never Yours, and I cannot be more excited to read this book! Haven’t you ever wished your Shakespeare reading in high school was a little more fun? Well, look no further because If I’m Being Honest is a classic retelling of The Taming of the Shrew but with a modern twist. It has all the entertainment of Mean Girls with a romantic trope that never grows old. ☀ Also, the cover is pink, and the story is set in Los Angeles, so it’s basically me in book form. If you didn’t know, 2019 is the Year of the Asian!! Basically, there’s a bunch of amazing book releases by Asian authors this year, and if you’re looking for a contemporary novel to add to your list, this is one you won’t want to miss. 😉 Somewhere Only We Know features a K-pop star protagonist and a night of friendship and romance. Maurene Goo always delivers on cuteness, so if the book cover itself wasn’t enough to convince you, go add it to your TBR! I was lucky enough to receive an ARC for this book, and let me tell you…it’s absolutely fantastic! The romance is too cute for words, and our protagonist, Ariel, goes through so much growth. As someone who faces a lot of self-placed academic pressure, I was really able to relate to the main character and his internal thoughts. ✏ You Asked For Perfect was a book that touched my heart, and I can’t recommend it enough! It’s not summer, but there’s always time for a summer romance to lift your spirits. 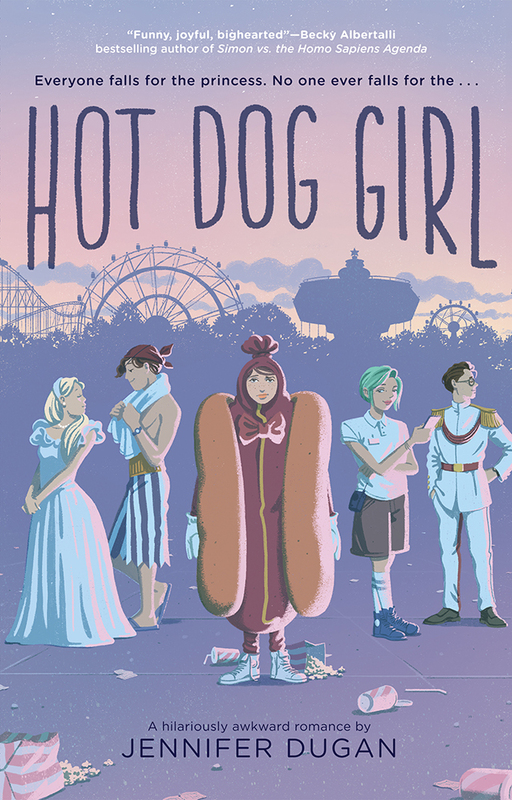 Hot Dog Girl is a coming-of-age queer romance, and if you’re looking for magic, self-discovery, and heart-warming friendships, this is the book for you. 🌭 It’s also set in an amusement park(!!) which means it’ll be all the more fun. Three words: Coffee shop romance!! Small Town Hearts is also another summer romance, but if you’re looking for good food and good vibes, this is the book for you. ☕ This book started off on Wattpad, and as an OG Wattpad user, I have to shout about this book and give it all my support. While I personally haven’t had the chance to read it, all my wonderful blogging friends have said amazing things. Christine from PolandBananasBOOKS was the first booktuber I ever watched, so it’s extremely exciting to see how far she’s grown. ✨ Also, this book cover is so adorable!! I feel like there aren’t many YA books set in college, so I’m excited to read this one as a college student myself. Again, But Better is a book about adventure and growth. I can tell there’s ties to Christine’s own life, so it makes the story seem so much more exciting. I’ve only read one book by Jenn Bennett so far (Alex, Approximately), but I absolutely love it! Her writing flows beautifully and is very easy to read. 🌙 The romances are always filled with the cutest banter and interactions, but it’s also nicely balanced with strong development. You already know that this book will be just as fun as its cover. 🍬 Something About Sweetie features Indian-American main characters and a fat protagonist. If you’re lactose intolerant, beware–Sandhya Menon never fails to write super cheesy romances. Puns, cherry blossoms, and romance. 🌸 Could you ask for anything more? This is the perfect finale book to this list because it also is set in Japan *coughcough Kat* It’s also a book of self-discovery, featuring a Japanese-American fashionista who travels to Japan and finds romance with a med student. Hi, it’s me – Kat – again. And I just want to say: MY GOSH. SO MUCH SWEET, FLUFFINESS. I LOVE IT. I think my heart just melted like a popsicle in the sun and is now one sticky, gooey mess. Because of overexposure to cuteness rays. If you didn’t go “Aawww” when reading about some of these books, you should question whether or not your heart is still functioning properly. Do you hate kittens and adorable cooing babies too? Or perhaps soft, happy stories just aren’t your thing. That’s cool too. Balloons make everything better, don’t they? Also, the acrobats hanging from the ceiling were a nice touch. Did any of these books catch your eye? Which ones and why? Have you read any of these books already? What did you think of them? Would you like to guest post on my blog too? Feel free to message me on Twitter or through my website’s Contact Form. This is such a good list and I’m so excited for a lot of these!! If I’m Being Honest is one of my yearly most anticipated after how good Almost Never Yours was, and The Princess and The Fangirl looks so good. Totally agree about You Asked For Perfect!! And I have an arc of Serious Moonlight, and omg, the cover is so pretty. I am so ridiculously pumped for “You Asked for Perfect” and “The Princess and the Fangirl,” I literally cannot express it in words. Both are just so relatable to me. (Yes, hello, I’m a perfectionist and a sci-fi fangirl.) I especially can’t wait for TPatF – I love this new tradition of respecting and celebrating fan-culture and Geekerella is already my standing fave in that niche. SO MANY GREAT BOOKS ON YOUR LIST!!!! I read an eARC of “You Asked For Perfect” and absolutely loved it! I am also so excited for “Again, but Better”, and have already pre-ordered it! AAHHH my contemporary-loving heart absolutely adored this post!! Tiffany mentioned SO many fluffy contemporaries that I’m incredibly excited to read (especially You Asked for Perfect and Hot Dog Girl) 💖 Love this collaboration!! AHHH KAT!! THANK YOU SO MUCH ❤ I'm so happy you reached out to me for this collaboration because I honestly had so much fun working with you and putting this together 🙂 I can't wait for us to explore more books together, and I'm looking forward to more collaborations in the future!! DAWWWW YOU GOT ME BLUSHING, LILY! Thanks so much for the lovely comment – it made my day! I really want to read more contemporary books so I loved this post! Maurene Goo’s books are on my TBR! I loved Geekerella so I’m so excited for The Princess and The Fangirl! I just love this comment if I’M BEING HONEST bwahahaha (it’s a pun cause like…ohhhkay nevermind I’m gonna be quiet now). Anyways, I agree. Food on the cover always rockets up my desire to read a book. Because food. Who doesn’t love food??? I can’t wait for Princess and the Fangirl and Small Town Hearts ❤ ❤ must check these all out asap!!! So many of the books look really amazing, don’t they??? UM HI YOU ARE THE BESTEST IN THE WHOLE WORLD. That’s all. That’s the whole comment. Tiffany is the queen of contemporaries and this was the perfect guest post topic for her, awesome list! Seriously though, right????? Tiffany did such an amazing job!